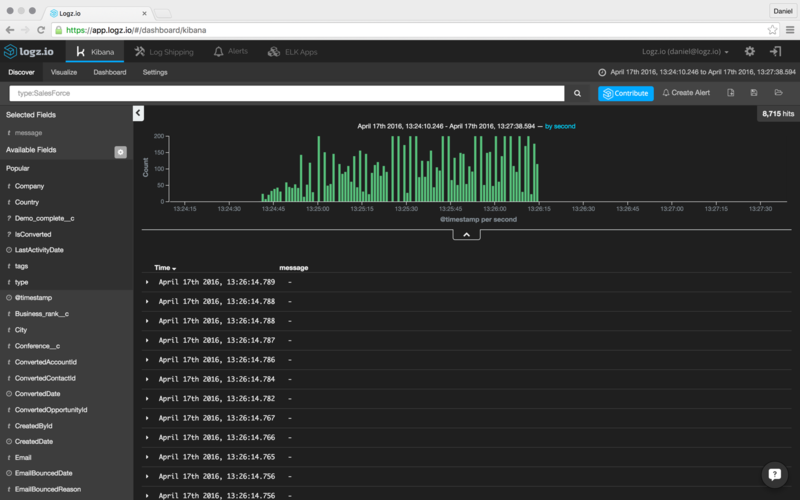 The ELK Stack (Elasticsearch, Logstash, and Kibana) is most commonly used for analyzing log files produced by networks, servers, and applications. Powerful indexing and searching capabilities coupled with rich visualization features make ELK the most popular open-source log analytics platform. 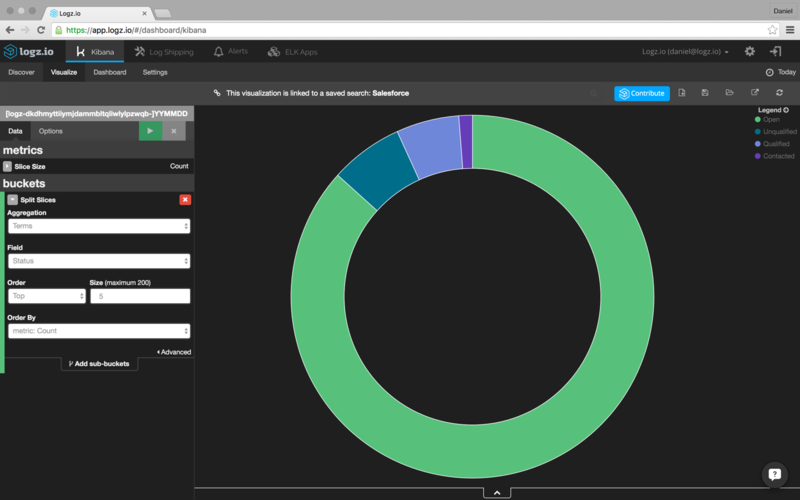 If you’re an IT manager or a DevOps engineer, you’re probably already using ELK to analyze and manage your company’s logs. But ELK is extremely useful in other use cases as well. 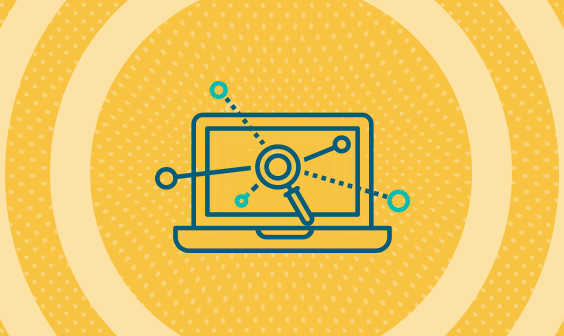 In a previous post, we described how marketers could use ELK to analyze server logs for technical SEO, and others are using the stack for business intelligence, log-driven development, and various other purposes as well. This article introduces yet another interesting use case — ingesting data from Salesforce for sales and marketing analysis. If you’re managing your company’s Salesforce account, you also know that analyzing Salesforce data to provide your CEO with insights he can use is not an easy task. This article provides a way to solve this challenge. Specifically, we will be showing how to create a pipeline from a Salesforce account, into Logstash, and then into Logz.io — our ELK as a service platform. Of course, you can perform the same procedure using your own hosted ELK stack. 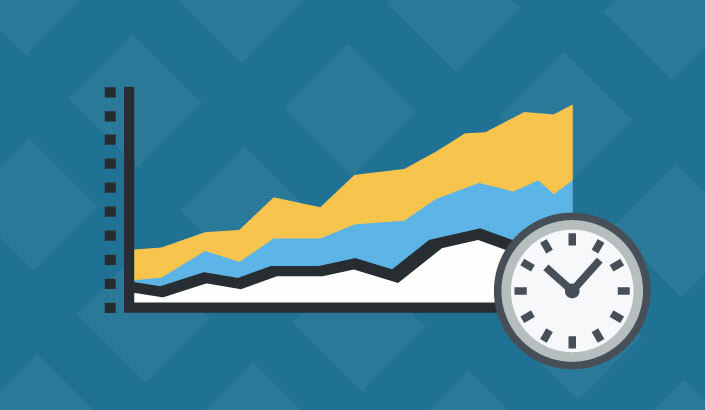 By ingesting Salesforce data into ELK, sales and marketing teams can go back in time and perform deep analyses of cross-team metrics. For example, you could measure the performance of your sales representatives overtime or get an overall picture of lead generation efforts and the numbers of closed deals over a specific length of time. Before we begin to install and configure Logstash, we need to retrieve some credentials from Salesforce that will allow us to access the data and stream it into Elasticsearch. This involves the creation of a new connected app and the generation of a user token. In Salesforce, open the Setup page. In the Build section on the left, select Create → Apps. When done, click Save. The new app is added and displayed. Make note of the following fields for use later on when configuring Logstash: Consumer Key and Consumer Secret (click to reveal). The last piece of the puzzle needed for authentication and for our Logstash configuration is your Salesforce security token. This is given to the administrator of the Salesforce account, but a new token can be created (by the correct user) after resetting it. We can now begin setting up Logstash. Logstash, the ‘L’ in the “ELK Stack,” is used at the beginning of the logging pipeline — ingesting and collecting data before sending it to Elasticsearch. Although log files are the most common use case, any other type of event can be forwarded into Logstash and transformed using plugins. We will first install Logstash itself and then the community-maintained plugin for Salesforce. Now that we have the correct packages installed, we need to configure Logstash to receive input from Salesforce and then forward it to Elasticsearch. 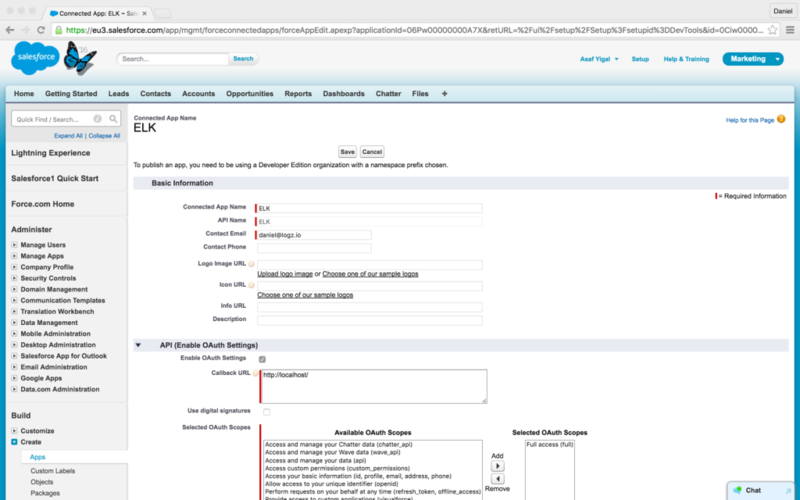 You can track any Salesforce object that you want, but you need to copy the input configuration for each. The most common objects tracked are ‘Opportunity,’ ‘Lead,’ ‘Account,’ ‘Event,’ and ‘Contact.’ Check the list of available Salesforce API objects to see what objects can be ingested by the Logstash plugin. For a full list of the available parameters for this Logstash plugin, see Elastic’s documentation. The filter, in this case, is adding two fields to our messages — one is our Logz.io token, and the other a type field called ‘SalesForce.’ This will help to differentiate the data coming from Salesforce from other input sources. Salesforce data should begin to show up in the Kibana interface integrated into Logz.io almost immediately (if not, double-check the credentials that you had used in the Logstash configurations. Those are crucial for connecting to Salesforce). 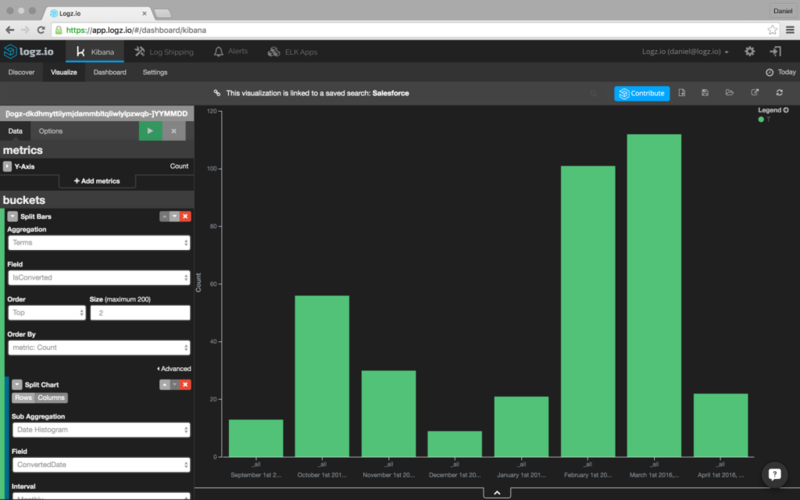 Once the data is indexed in Elasticsearch and displayed in Kibana, you can begin to analyze it. Your next step is to figure out what information you’d like to inspect and visualize. Of course, how you analyze the data depends on your objectives and the specific Salesforce object that you’ve decided to track. The sky’s the limit. Once you have a few visualizations lined up in Kibana, combine them into one comprehensive dashboard that you can use to see how your sales and marketing teams are performing. great article. each time you run logstash agent, it creates duplicate documents in elasticsearch. 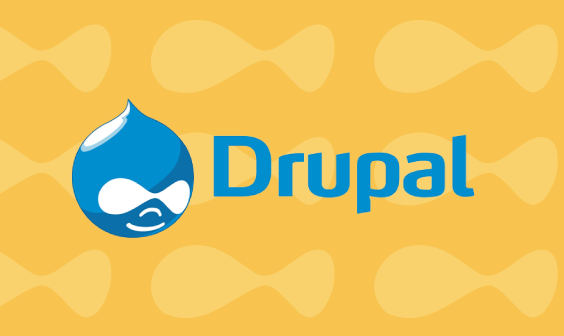 how do you stop duplicate documents — incremental indexing?